By far the most viewed and read Blog is authored by Professor Gwythian Prins. It has been reported widely in the national media and now has over 5,000 views on our website. Professor Prins argues that the that the EU will go the way of the Soviet Union and eventually beak up under the pressure of its own complexity. Prins is emeritus research professor at the London School of Economics. He is also a board member of Veterans for Britain. Graham Gudgin gave a presentation at the Campaign for an Independent Britain rally in London on April 14th. This will be available on the CIB’s website alongside the other presenters. Our blogs this week continue last week’s focus on border issues. This week’s blogs cover Ireland and Gibraltar, adding to last week’s blog on the Swiss border. The Irish land-Border remains a major sticking point in advancing the Brexit negotiations. In this blog article, Dr Graham Gudgin, former Special Advisor to the First Minister in Northern Ireland, outlines how far talks have progressed on this issue and what remains to be decided. The official position of the EU is that a frictionless border will be solved by Northern Ireland remaining within the EU’s customs union. This position, described in stark detail in the EU’s draft Withdrawal Agreement, was quickly rejected by Theresa May. Although the Withdrawal Agreement paper fails to spell it out this would require a customs border between Northern Ireland and GB which was ruled out in the Joint progress report of last December. Further talks are now underway in Brussels on the basis of two proposals from the UK, aiming for progress before the EU Council of Ministers meeting at the end of June. These proposals are essentially extensions of the initial proposals made in the UK position paper of last August suggesting that administrative reforms and electronic border technology can deliver the ‘no hard border’ promise. The hard line adopted by the Irish Government since Leo Varadkar took over as Ireland’s Prime Minister last June, reversing the more co-operative approach of his predecessor, remains in place, but stands no chance of being adopted. Even the EU’s own expert believes that customs checks can be achieved with no physical infrastructure at the border. Almost all of the small number of existing checks at EU borders are based on intelligence about illegal activity. Co-operation between the authorities in Ireland and Northern Ireland would mean that such checks could be done away from the border. A free trade agreement between the UK and EU would also mean no increase in existing incentives for cross-border smuggling. The blog’s conclusion is that the Irish Government and the EU have exaggerated the scale of the issue for political purposes and will have to back down. A sensible solution is possible, but it will require meaningful co-operation between the Irish and Northern Ireland authorities. 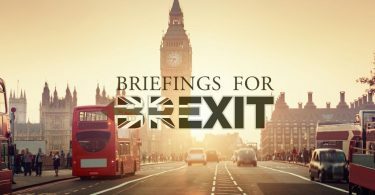 Our own blog this week on “Gibraltar and the EU – lessons from an unprincipled approach” argues that the EU is being inconsistent in insisting on inflexible principles for the transition period and for the Irish border while flouting those principles in the case of Gibraltar. In the case of Gibraltar the EU supports the right to close the border, while in Ireland it insists on the border remaining open. 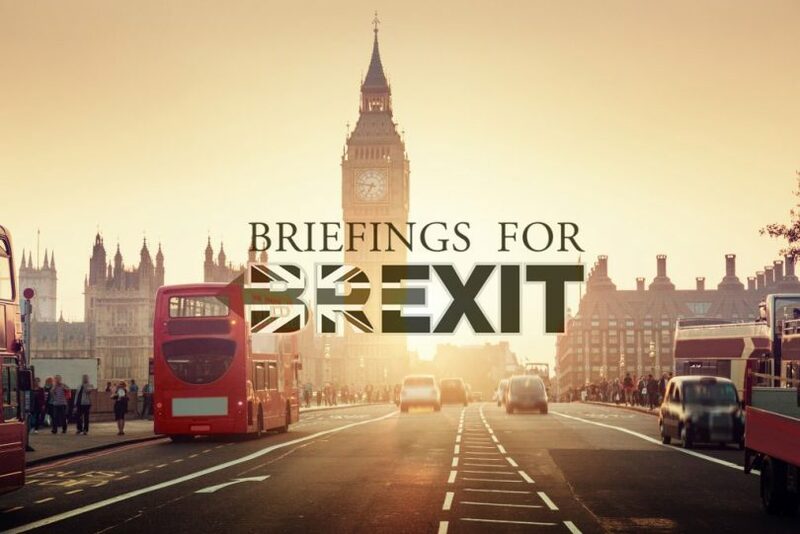 We have also been busy on Twitter https://twitter.com/briefing4brexit retweeting the daily events that bring Brexit to the fore in the National News. Twitter Brexiteers have been active allowing messages to filter into the mainstream media that might otherwise have been overlooked. We hate to say but Graham and his colleagues told you so. Graham has always challenged the OBR economic forecasts and his economic research at the Centre for Business Research in the University of Cambridge has been widely reported nationally giving a more optimistic forecast for the UK after Brexit. @LeavemnsLeave also tweeted out the Sir Bill Cash comment on an article in the Telegraph that “Pro-remain groups are launching a one million campaign to stop Brexit this weekend”. As our Mission Statement sets out we aim to educate our critics to think differently and more positively about the long term impact of Brexit. The 5,000 views on the Prins blog confirms we are doing just that. Stick with us.